Very delicious and crispy, this inexpensive appetizer is also very healthy. Chick peas have high fiber content. Foods high in fiber helps lower cholesterol and blood sugar levels. Also, it is easy to prepare. 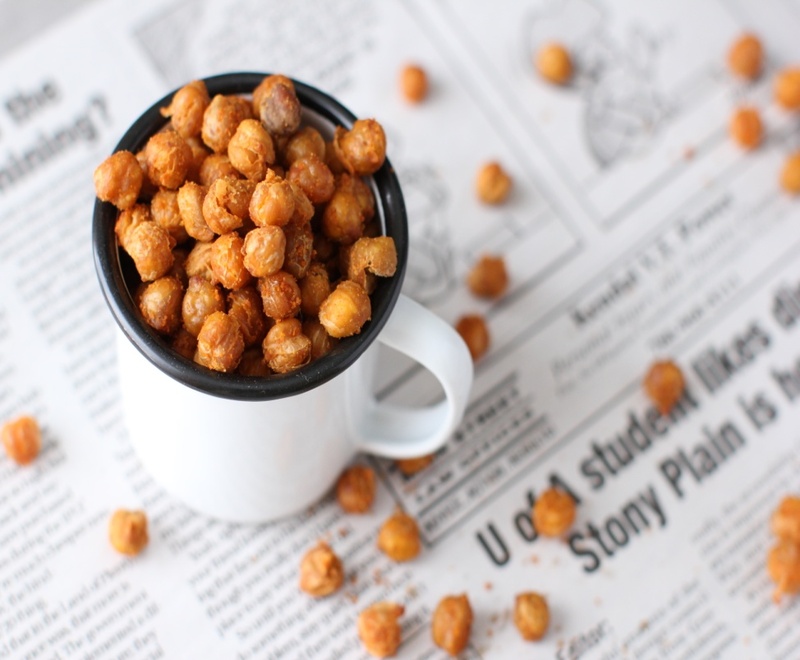 You just need a can of chickpeas, season with salt and cayenne pepper, then roast it in a preheated oven. You can also add some cinnamon to add flavor. 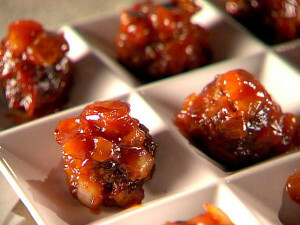 If you are looking for tasty yet inexpensive appetizers, you will never go wrong with cocktail meatballs. This is a timeless favorite. Even your grandma will love these. Add a can of cranberry juice to the classic sauce for an extra zest. Serve them on a beautiful tray for your guests to enjoy. These spicy meatballs are best served with red wine. We always think healthy foods are not flavorful. Guacamole proves this wrong. 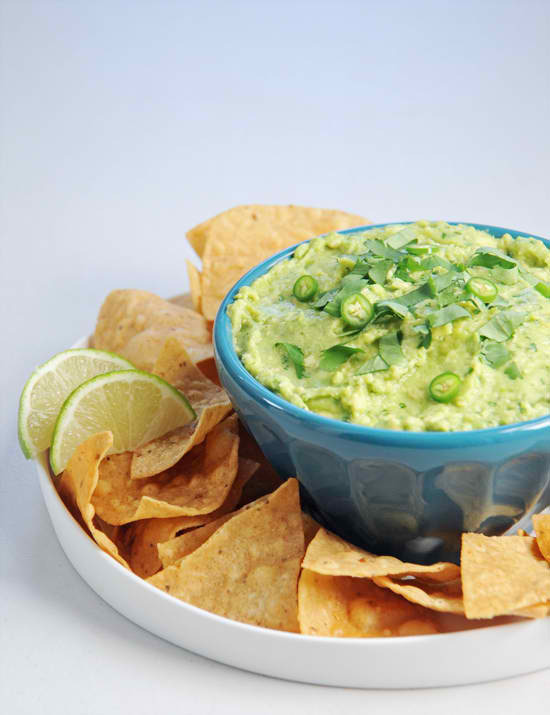 Avocado is the main ingredient of this inexpensive appetizer. Not only is it very delicious, you can also get a lot of dietary fiber and vitamins from avocado. It even has more potassium than bananas! The secret to making a really good guacamole is to leave some large avocado chunks. Serve your guacamole with potato chips, tortilla chips, plantain chips, and carrot chips. Pecan in the Algonquian language means a nut that needs a stone to crack. Pecan pies are famous in the US, but sugarcoated pecan is becoming one of America’s favorite inexpensive appetizers. It is very tasty and so easy to prepare. 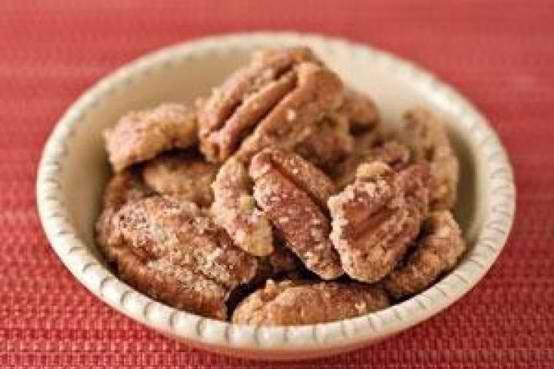 You just beat an egg white until it is foamy, then toss in the pecans until they are well coated. The next step will be to mix sugar and cinnamon, then sprinkle the mixture over the pecans, making sure they are well-coated. You will then need an ungreased baking sheet where you will spread the pecans and bake at 300 degrees until they are brown. A healthy alternative to a bag of greasy potato chips! Your guests who are on a diet will thank you if you serve one of the healthiest inexpensive appetizers there is. Aside from having properties that can lower the risk of cancer, kale has a lot of antioxidants. 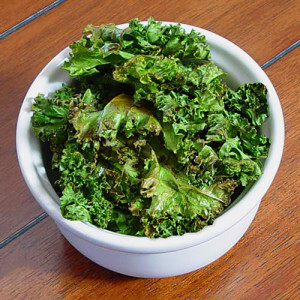 Some say kale is bitter, but baking it and seasoning it with salt gives it a tasty flavor. Popcorns are always fun to cook as much as it is fun to munch on. Maybe not. You most often need to duck and cover or use protective glasses to protect you from the little explosions. 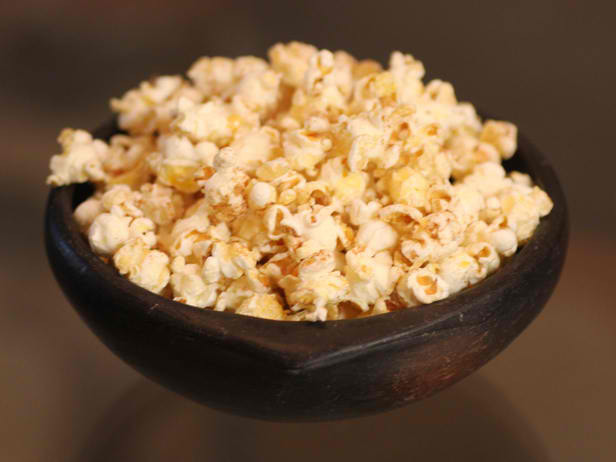 Still, it has not kept us from keeping this flavorful snack on our list of inexpensive appetizers. Throwing an impromptu party? 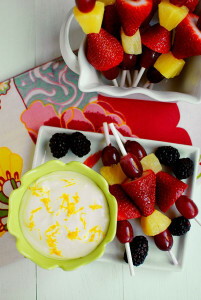 Just slice or prepare some choice fruits, arrange them on a platter, then serve with a fruit dip. One of the easiest, most inexpensive appetizers to serve. 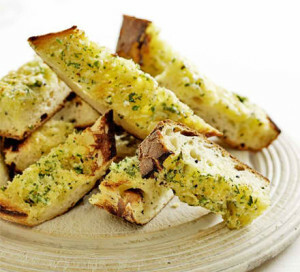 Garlic breads go perfectly with any Italian meal. The next time you are preparing one, do not forget to include the most savory, inexpensive appetizer in the world. Pasta dishes just seem incomplete without garlic bread on the side. 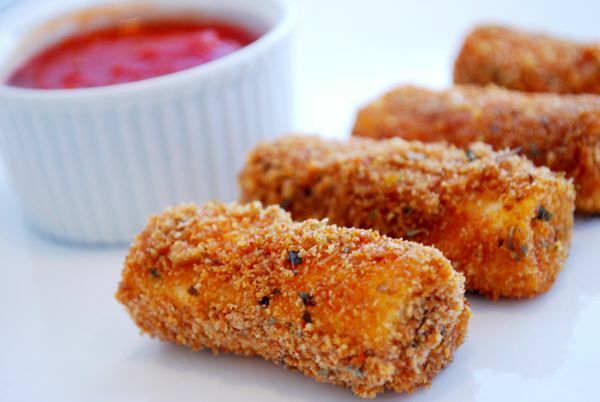 Instead of buying a bag of cheese curls, why not go the extra mile by making a batch of these? One of the best choices for inexpensive appetizers especially for children’s parties. But I am sure adults will love them too! Salads just make one think of summer and family picnics. 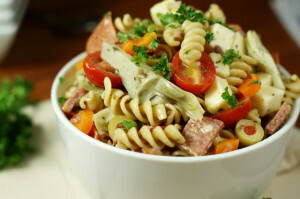 An antipasto pasta salad made without the use of mayonnaise is fat-free and healthy. It is very colorful too, and perfect for outdoor parties. Appetizers should not only be inexpensive, but should be easy to prepare. Inexpensive appetizers should also be healthy and yummy. Do you have any favorite appetizer not included in this list? Please do share in the comment section below. We would love to hear from you!